It's been a violent 24 hours in the city of Philadelphia. Three people are dead after three separate shootings. PHILADELPHIA (WPVI) -- It's been a violent 24 hours in the city of Philadelphia. Three people are dead after three separate shootings. Police say the first happened in West Oak Lane and involved what might have been a carjacking. At about 8:30 p.m. Wednesday in the 2000 block of Haines Street, two men with guns confronted and shot a 39-year-old man. Police are trying to hunt down the robbers who shot and killed a man in Philadelphia's Germantown neighborhood. "After he was shot, he collapsed," said Philadelphia Police Chief Inspector Scott Small. "According to witnesses, the shooter leaned over his body, went through his pockets and took his keys." The assailants then took off with the victim's 2015 silver Dodge Ram pickup truck. As police arrived, a witness was putting the victim into his car to get him to a hospital. Police escorted the victim, who was shot in the chest, back and leg, to Einstein Medical Center, where he later died. 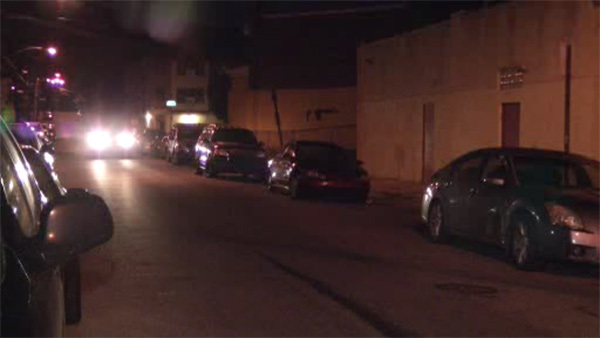 Several hours later, police were called to the 2700 block of North Darien Street in North Philadelphia. Police are looking for answers after a double shooting that left an 18-year-old male dead in North Philadelphia. They found two people shot. One of them, an 18 year old, died. Police said he was shot in the head and found two doors down from the house where he lived. Finally, just before 5 a.m. Thursday, police received a call from the city's Tioga-Nicetown section. 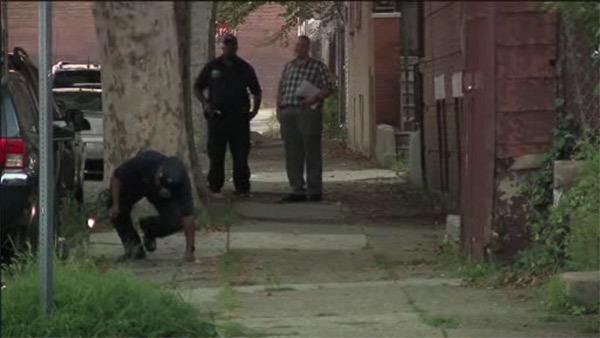 An unidentified man was shot and killed in Philadelphia's Tioga-Nicetown neighborhood. Officers arrived in the 3900 block of North 16th Street to find a man under a parked pickup truck. "Fire Department paramedics pulled him out from under the truck and realized he was shot one time in his back," said Small. "He was unconscious and unresponsive. Medics performed CPR on him. However, they could not revive him." Investigations continue into all three cases. In the West Oak Lane murder, the silver truck has not been located. But police say there is surveillance video which might help police identify the killers.